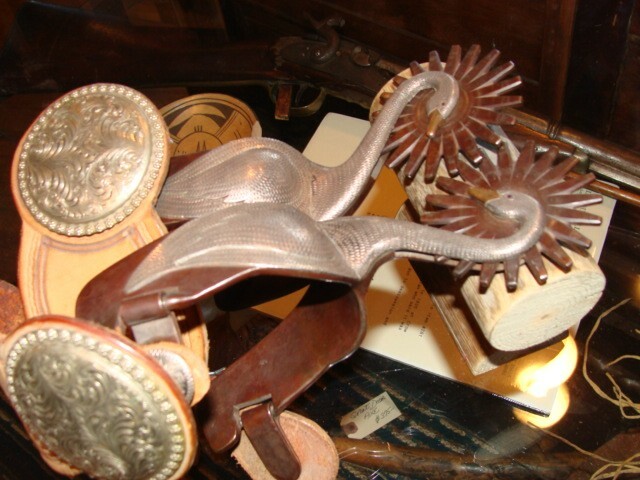 Here are a beautiful pair of Silver Swan Spurs fully engraved and extremely rare. Seen in Randy Butler Book on Spurs. More pictures and price by request. Please emai cowboyron@cowboycabin.com with questions or call 406 270-2842. 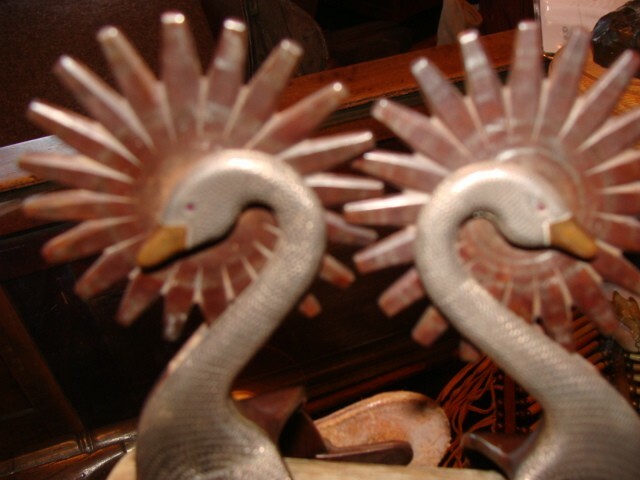 Here are a beautiful pair of Silver Engraved Swan Spurs with Bronze Beaks / extremely rare. They are featured in High-end Spur Books and Randy Butter Spurs are among the best today. More pictures and price by request. Please email cowboyron@cowboycabin.com with questions or call 406 270-2842.